Be careful what you wish for! Kotoko Kashiwagi is an aspiring doll maker who dreams of one day making dolls as life-like and beautiful as her idol's, the popular yet mysterious doll maker "Fool." She'd also like nothing better than to meet him, but when she does, the circumstances are nothing like she imagined! First off, he's kidnapped her. Second, he's kissed her hand, and third, he's informed her she's going to become his servant—or else! 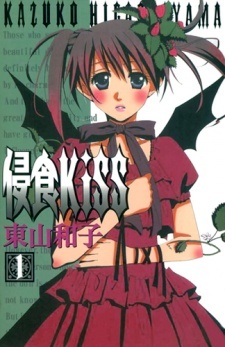 Shinshoku KiSS was published in English by Tokyopop from October 1, 2007 to February 12, 2008.